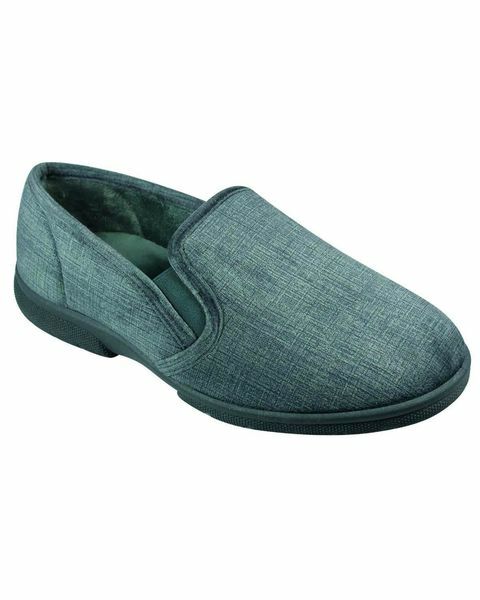 Men's wide fit house shoe.in grey, navy. Sizes 7-12. Wide Fitting for comfort with removable insole. 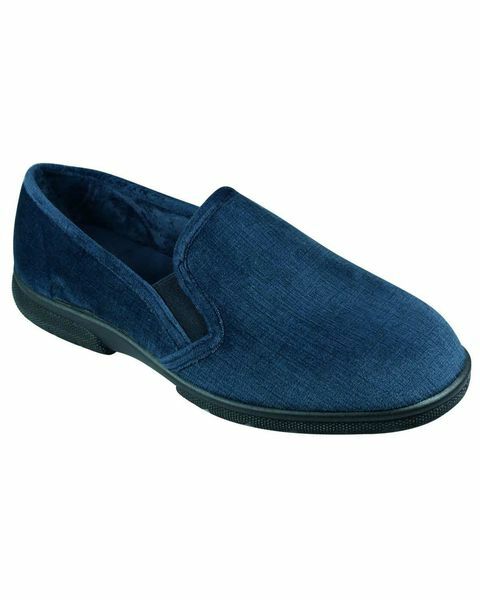 Sturdy, rubber sole, Suitable for indoor and outdoor use. 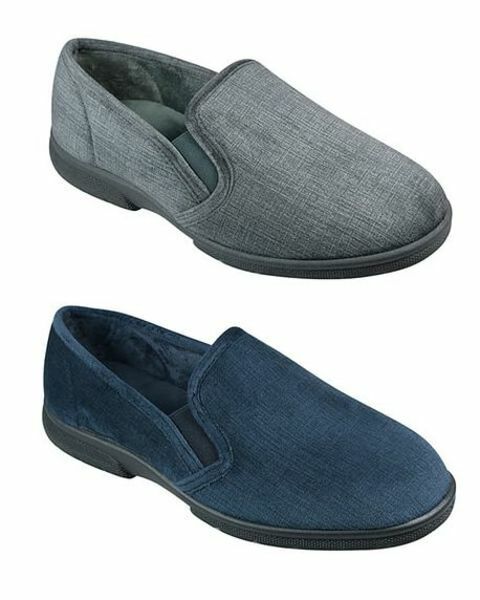 In Grey and Navy.